Every so often in Japanese martial arts one hears the term, goshinjitsu. So, what is goshinjitsu? 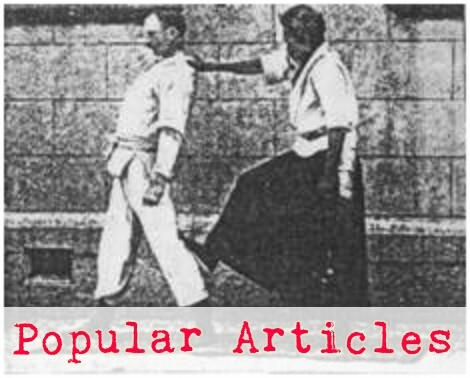 the Japanese words simply mean, self-defense, and in the context of a martial arts class it often refers to a set of techniques that are practiced as simple, pragmatic self-defense to some specific situational attacks. Goshin jitsu sets are generally very small and easy to learn. Typically a set of goshin jitsu techniques is intended to make up for some of that style's potential weaknesses. For example, judo, being specialized in throwing and grappling, has a set of goshin jitsu (see the film above) that deals primarily with various punches, kicks, and weapons. In my karate class in college, the goshin jitsu were intended to give the karateka a chance against various forms of grappling attacks like chokes, bearhugs, and wrist grabs. Our goshin jitsu was similar to the film below, though much smaller. One of the coolest things to me about goshin jitsu sets is that they tend to be characteristic of the school where they are taught or the sensei who teaches them. You might go to one Shotokan school and see one defense for a certain attack, and then go to another Shotokan school and see a very different response promoted as the goshin jitsu for that particular attack. 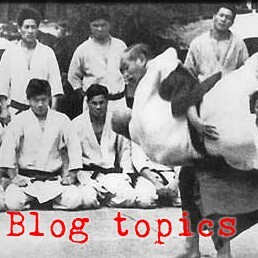 And often both techniques are drawn from the corps of knowledge that is Shotokan and both follow good karate principles equally well. Thus the self-defense sets become individual artistic expressions. It's uncanny how much of the Judo Goshin Jitsu look like Aikido! the judo goshin jitsu were created by a committee headed by Tomiki. Goshin Jitsu and Aikido's Sankata (also known as goshin no kata) make a great study in comparison and contrast.